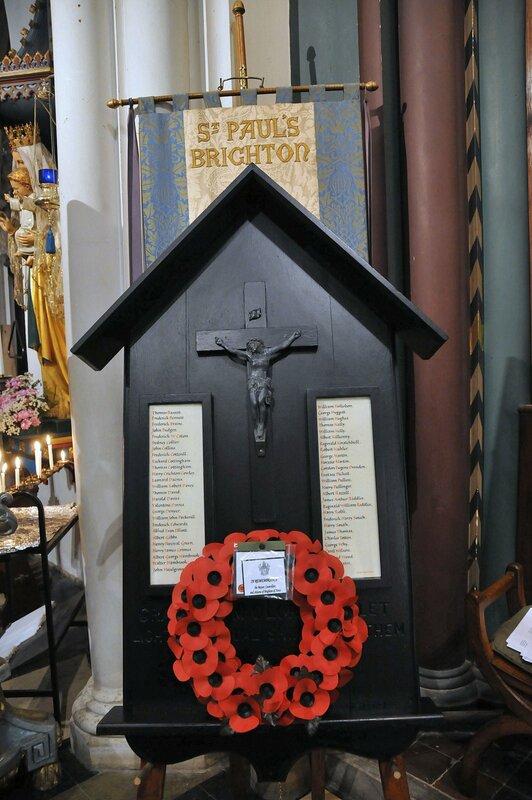 The memorial to the memory of those men who fell during the First World War at St Paul’s Church was originally sited at the West Street end of the cloister to the south of the church. The date of its construction was approximately 1916; there were fifty two names on the memorial, inscribed on paper in two rows of twenty-six. At least 25 years ago it was taken down and moved to the basement while the cloister was redecorated; it was never reinstalled. 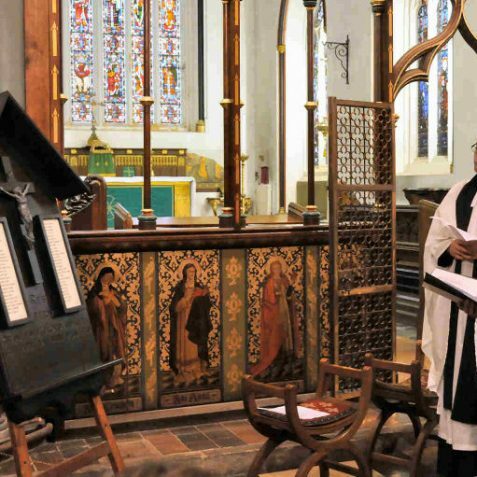 The PCC decided to restore the shrine as research had shown it to be a rare example of its type, and in remarkably good condition. 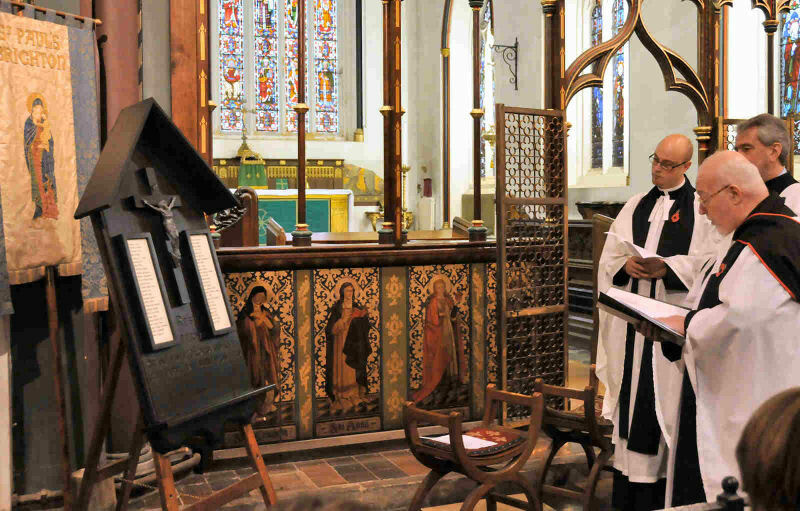 When the shrine was first installed, twenty-three young men in the parish had already perished and their names were the first to be listed. 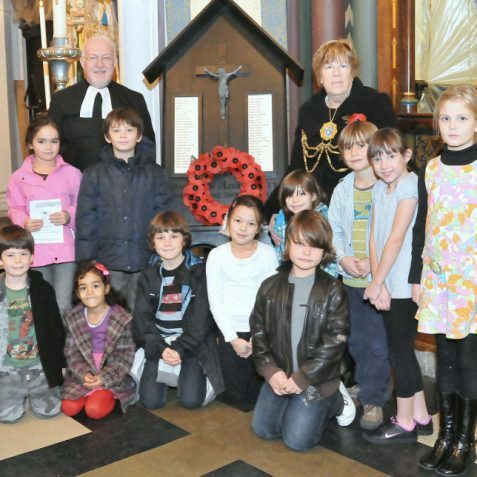 Sadly other names were added at regular intervals until the conclusion of the war in 1918. 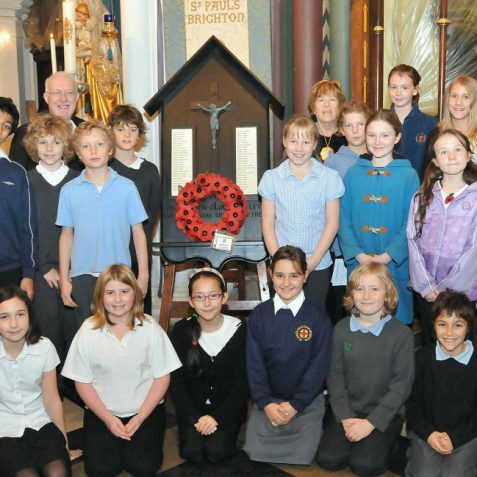 On Wednesday 11th November 2009, the newly restored war memorial was unveiled and re-dedicated. 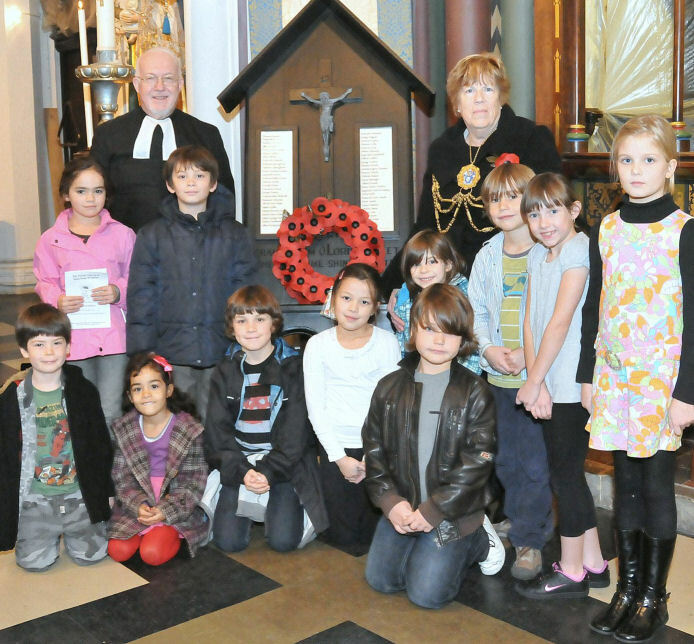 The service was led by parish priest, Father Robert Fayers and was attended by the Mayor of Brighton, Councillor Ann Norman. 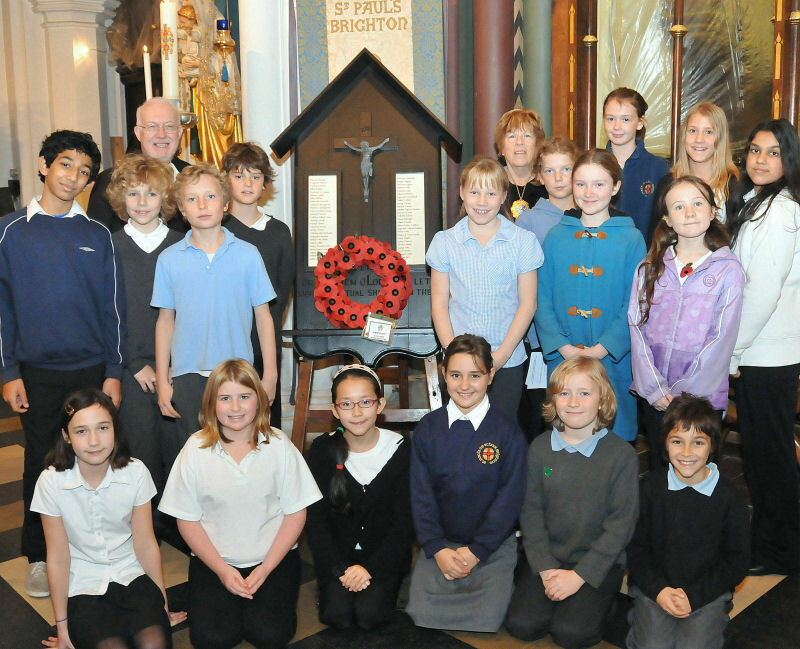 Local children from St Paul’s Church of England School and Middle Street Community School also took part in the service. Very impressed with your dedication to your chosen task. 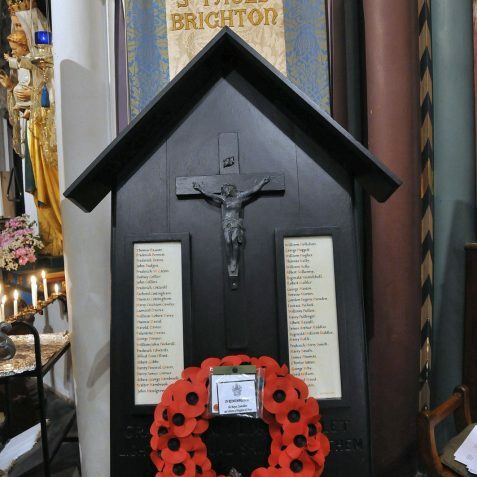 Do you possibly have a photo of the headstone in Brighton and Preston Cemetery for soldier Ernest Edward Thomas, who is credited with firing the first shot in WWI? He was my wife’s great uncle and was buried in 1939 with some ceremony. He had been, on discharge from the army, the commissionaire of the Duke of York cinema. Being in our 80s we do not find travelling from Chester to Brighton a very easy prospect, so any help would be more than welcome. Thanks.